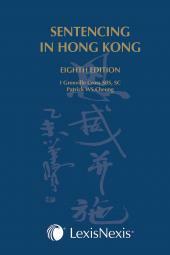 The purpose of Criminal Procedure in Hong Kong is to provide students and practitioners with a guide to the rules of criminal procedure in Hong Kong. Each stage of the criminal process is examined with reference to the relevant statutory provisions and case law, from initial investigative powers to indictment, trial and appeal. Explanation of trial procedures and jurisdictions in all three courts of first instance; the Magistrates Court, the District Court and the Court of First Instance are included. Separate chapters detail the law relating to costs in criminal cases and the procedure on appeals. This book also considers the various sentencing dispositions available to the courts and provides guidance as to how to propose a realistic sentence. Amanda Whitfort is an Associate Professor in the Department of Professional Legal Education where she has led the Criminal Litigation course on the University of Hong Kong's Postgraduate Certificate of Laws (PCLL) for over a decade. 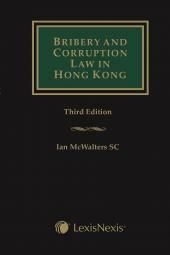 She also teaches Criminal Procedure on the LLB and JD programmes at HKU and has taught Criminal Litigation at the City University of Hong Kong. She has extensive experience in trial prosecution in Australia where she is admitted to practice as a barrister and solicitor in the Supreme Court of Victoria and the High court of Australia, and in Hong Kong, where she prosecutes on fiat for the Department of Justice. She was awarded the University of London's Convocation Trust Brigid Cotter prize for obtaining the highest aggregate on the external LLM programme in 2001. She is Chief Examiner for The Law Society of Hong Kong's Overseas Lawyer's Qualification Examination in Criminal Procedure and the PCLL Conversion Examination in Criminal Procedure. Her research interests include criminal justice and administration, environmental law and animal law.